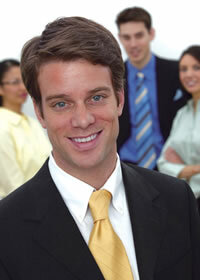 Validex is a pioneer and innovator in the employment screening services industry. In a professional partnership with our clients that range from small businesses to large Fortune 100 customers, Validex provides employment screening services that deliver the best in accuracy, individualized customer service and timeliness. Through product innovation, our solutions provide hiring compliance and confidence. Validex manages the entire background screening process with your customer post-introduction. Your organization is only responsible for the referral and introduction and Validex will take it from there. The Validex Brand Awareness marketing campaign and partnership program will increase exposure to your organization on a local, regional, and national basis. Tell us what you want in your partnership with Validex, and we will work with you to customize a model that is a win-win for both organizations. Partner with the Experts - Contact a Validex Account Executive for details on our partnership program. If your clients are not currently doing employee background checks now, they are seriously considering it. If they currently have a vendor, introduce Validex and let us help you raise the bar! Your organization will receive a quarterly residual from the services performed by Validex for the clients you refer. A simple introduction can lead to additional revenues for your organization. Your clients will be introduced to an employment background screening industry innovator and expert that will help your clients manage the challenging and ever-changing legal landscape of background screening. Validex will reciprocate and refer clients to your organization which will help you grow your client base. Not only will you be providing additional services to your members from an industry leader and expert, you will be lowering their costs for background screening services by committing to a volume requirement.